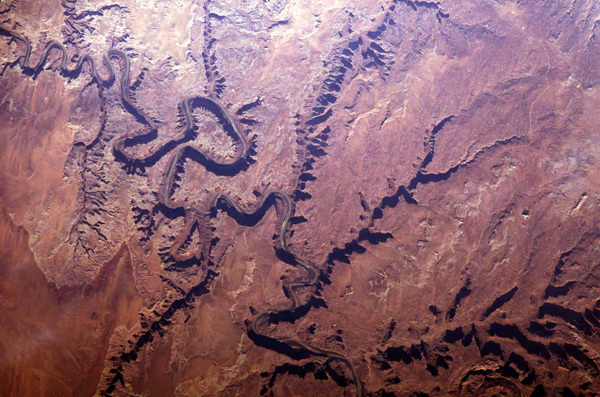 The Grand Canyon of the Colorado River is simply amazing when viewed from an orbital perspective. You instinctively recognize it, even though you have never seen it from this vantage point before. Somehow, your brain can warp all those vacation memories from visiting the South Rim into something recognizable. But the amazement doesn’t stop there. Sometimes your brain can play little tricks. 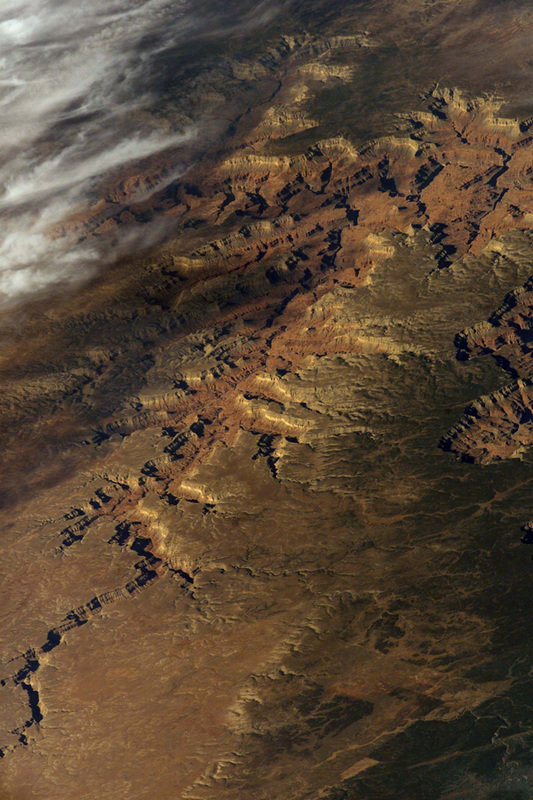 Under some lighting conditions the Grand Canyon does not look like a canyon at all. Instead, all you see are the arteries on a giant heart, as if someone were performing open heart surgery on Mother Earth. Push on the corners of your eyes one more time, wait for the flashes to disappear, and now you see something entirely different. Instead of looking out the window of a spacecraft, you are looking out the window of a deep-sea submersible at some mucky-bottom seascape. You now see worms lying on top of the benthic sediment, happily doing whatever worms do on the bottom of the ocean. So often, in the search for truth in nature, human perception masks how things really are. I knew this fact about human perception but thank for lesson!! Dragon, Luzard and Snake! = New Year 2012!! Thank you for sharing your perspective and your photos. As a little girl I dreamed of being an astronaut. I love that now, decades later, your experiences can be shared so poignantly via a blog. Technology, whether it takes us to space or brings us together, is amazing. I hope future generations get see the nature of earth from the same vantage point. WOAH (: this is awesome ! 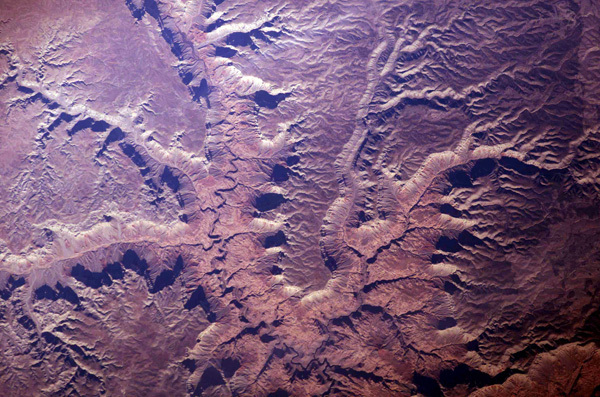 On the first photograph, the terrain that isn’t too far down in the canyon looks like gold. Whatever it is, lighting or color balance, it’s neat. A couple of years ago I went to the Grand Canyon and I took a big rock from the floor as a souvenir. This rock travelled with me to another continent and now I can contemplate it. I put it close to my TV. It looks like a big meteor and when I put my nose close to this rock I can smell its mollecules. La erocion de la tierra en su maxima expresion.